You’ve set your business on a growth trajectory, and you’re proactively increasing your marketing and promotions to grow your client base and revenue stream. Whether your initial operational growth happens in staffing, product, or infrastructure, you’ll need to have the right business systems in place to stay on the path to success. In particular, you’ll need the right business telephone system. Many small businesses try to get away with using their smartphones for business. And there are a number of reasons why this may seem like a good idea — maybe you’re trying to save on costs. Or maybe you think that having a separate business line seems like a hassle. Or maybe you think business phones are limited to the office and are not accommodating of your mobile lifestyle. Whatever your reason for trying to run your company from your cell phone, there is a point in your business when using your cell phone may hinder your growth. 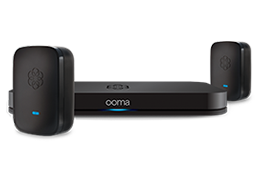 With Ooma Office, you get the benefits of an office phone while maintaining the mobility of your cell phone. You’ll have the same business phone access whether you’re using the desk phone in the office or the Ooma Office mobile app on your smartphone. No matter what device you’re using, you’ll be able to use your business line to make/receive calls or to check your voicemail. If you’re growing your staff, having a networked phone system with a main business phone number streamlines how customers will access your business. They won’t have different numbers to dial for different services, and if they need to talk to more than one employee, you can transfer calls to your coworkers. Additionally, a networked phone system makes it easy for coworkers to communicate. You can use conference bridge for a group meeting, monitor company-wide call logs for easy customer billing, and use extension dialing to easily reach your coworker. Do you work in an industry where professionalism matters? Nearly everyone does. Whether you’re managing an ice cream shop or running a corporate law firm, professional communications are key to your business’s success. Business growth is not likely to happen if you’re not responsive to calls, missing phone messages, or giving callers a bad first impression. With Ooma Office, your phone system can help you make a good first impression. The Virtual Receptionist greets and directs callers, and music on hold keeps callers occupied if they have to wait. Worried that calls will go unanswered? Create a Ring Group for each department, such as Sales or IT. When that Ring Group Number is called, the employee phones in that Ring Group will ring either simultaneously or sequentially, depending on your settings. Additionally, the underlying phone infrastructure of VoIP will help you preserve business continuity and reduce downtime if there are emergency outages. And Ooma’s audio quality is ranked as top of the class by the independent editors at PC Magazine. 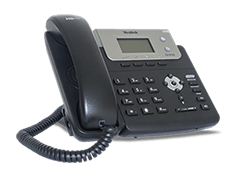 Effective business phone systems don’t need to duplicate the high costs of your cell phone bill. Ooma Office costs just $19.95 per month per user. On average, our business customers report savings of $6,185 in three years after switching their phone service. There are no contracts, and the service is scalable to accommodate your variable staffing needs. Especially when hiring seasonal or temporary help, add the extra phone line when you need it, and then drop the line when you don’t. It’s just that simple. And if you’re doing business overseas, Ooma’s international calling rates cost just pennies per minute. When growing your business, automating tasks and streamlining processes saves you time. And time is a very valuable commodity for business owners. The efficiency tools of Ooma Office can help you use your time better. Receive your voicemail messages as email attachments, set up multi-ring so that any employee can answer the phone, and set up after-hours call modes so callers will know that you’ve left for the day. Learn more about how Ooma Office can provide you with a flexible business phone solution that’s affordable, efficient, and high quality.